The two market leaders seem head and shoulders above the rest of the field, however there’s real concern over the trip for Air Of York, while it remains to be seem whether Nazzaa has the speed on fast ground dropping to a mile. That means it could be worth to side with one of the other three. Four year old Alqalsar offers the most upside theoretically, but showed nothing this year after a promising campaign last season and his attitude has to be questioned. The two veterans in the field, Living Leader and Peak Storm are of high interest to me, given their featherweight. Living Leader with Hollie Doyle in the saddle is by far the more intriguing individual having some solid form to his name while getting a big chance by the handicapper. Peak Storm on the other hand hasn’t ran a good race in nearly two years. That says, he he has quite a good record over this trip at this track and dropped so far in the weights that if there’s still any sort of appetite for racing left he could be incredibly dangerously weighted now. He drops back to a mile here at Chepstow, into a race he won back in 2015. The betting suggests there is zero expectations, but the booking of promising apprentice Andre Beslin, who claims 7lb, makes Peak Storm an interesting contender today. Pretty much all his life Field of Vision has been running over sprinting trips. Only twice did he venture beyond 6 furlongs, with limited success. 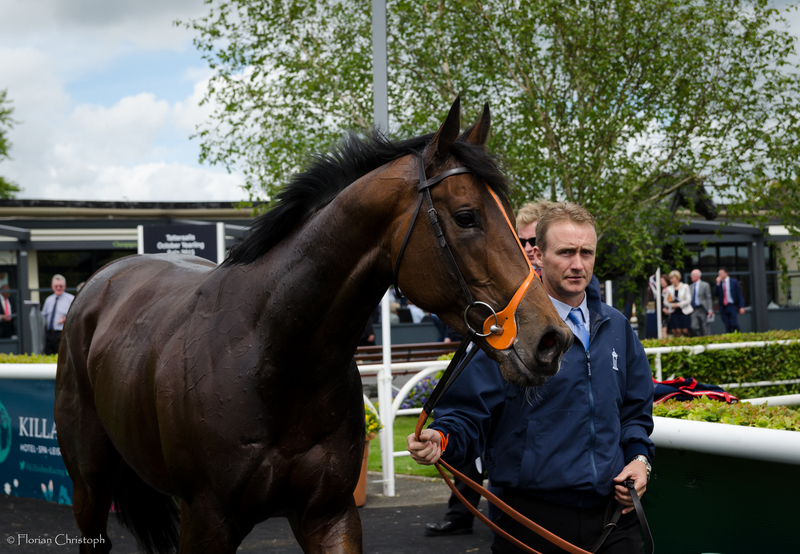 Nonetheless I feel he’s right in with a cracking chance in this 7f contest at Chepstow. One is that he’s dropping slowly but steadily to a really tasty mark. The second is that fast ground should help to go beyond his usual trips and there is also the fact that his pedigree offers a pretty good chance of getting a trip – in combination I think his two starts over 7f until now are a small enough sample size to rule out that he can’t be effective. Field of Vision’s form is clearly on the upward while his ratings stay relatively static. In four turf starts he was twice in the money, unlucky not the get his head in front when beaten agonizingly close here at Chepstow last month. He followed up with a strong, albeit luckless run at Windsor, when he never got a chance with a wall of horses in front, yet finished strongly when a brief moment allowed him so. With an excellent 5lb claiming apprentice in the saddle, a good looking handicap mark and a very winnable race Field of Vision appears a good bet. Another week older…. in fact another year older!!! It’s my birthday and I could do well with a birthday present. Why? Because last week started so exceptionally well with three winners on the bounce but from from mid-week on turned into nothing but disappointment, agony and despair. A real nightmare, we can call it. And that’s only the horses. Let me not get started on the soccer…. I’ve really lost some money in those last four days or so. But always look on the bright side of life, eh? I try, I really try hard. But when you advance beyond a certain age, when you are very much entitled to attend the Over 30’s discos, when you…. ah let’s leave it there. Thankfully there is enough racing to get stuck into and to forget about all the moaning and groaning. Age is just a number. The British Flat Jockeys Championship has never really caught my imagination, I have to admit. Although I firmly believe it has its place in the racing season (there was an interesting discussion on its value on yesterdays ATR Sunday Forum – check it out). Whether the current format is the right one is a different matter. Nonetheless I like the fact that it rewards the hard working jockey, the one who goes up and down the country, who’s sacrificing for a slim chance of a winner in the class 6 Handicap for three year old’s on a dreary Wednesday night at Wolverhampton. Now, in recent weeks the Jockeys Championship moved a bit into focus because it developed into an intriguing head-to-head battle between defending champion Silvestre De Sousa and Jim Crowley, the latter one only recently emerging as a serious contender. I ran the numbers and dug through the stats and come to the conclusion that Crowley does have the edge – not only on the actual numbers of winners (he’s leading by 2) – but basically every other significant metric. So it’s no surprise to see him being installed as the odds-on favourite to wrestle the title off De Sousa. As a betting man, though, I’m always on the hunt for value. And I just couldn’t get my head around when I saw last years All-Weather Champion Luke Morris readily available at a whopping 50/1! Are you serious? Yes, Morris is 15 winners behind Crowley at the moment – but Crowley himself trailed De Sousa by a more or less similar margin not too long ago either. So it’s not impossible to make it up. Now, it’s a long-shot, no doubt. Crowley gets great support, is going all out…. but you know what? So is Luke Morris! He’s proven it all the years that he’s a tremendously hard working jockey, usually right up there with the most number of rides of any jockey in the country. He also has a proven pedigree of being able to sustain the pressure in a title race, given he is the reigning All-Weather Champion jockey. With the assistance of some good trainers, mainly Mark Prescott, I feel Luke Morris has enough ammunition to grind his way closer and closer into contention. There is still enough time on the clock. Interestingly the difference between Morris and Crowley over the last 50 rides is a mere 4 winners – quite close, isn’t it? Well, yes and no. Crowley has a higher strike rate and is only really getting into full swing right now, so the gap might widen inevitably. But then, Morris has shown in the past that once he sets his signs on a jockeys title, he can really dig deep and get his hands on an awful lot of winning rides too. It remains a long-shot, and let’s not rule out Silvestre De Sousa at all, nor James Doyle – though he said he’s not all in -, Adam Kirby or Oisin Murphy. But it’s the 50/1 price tag for Luke Morris that really looks tremendously over the top. Lightly raced Alabaaly only makes his second start in this company after showing some decent promise in three maiden races. First time blinkers lid him up the last time and he tired badly towards the end, yet finished 3rd nonetheless. Headgear has been dropped, he’s 3lb down in the mark and has been gelded in the meantime – a promising combination which should see him in much better light today. Emerging Talent sets a fine standard but can be opposed at a skinny price, given he has to prove that he can find something off the bridle – although the step up in trip should suit. Against him Definite Outcome looks a reasonable danger. He is a former Irish point winner, who got easily off the mark in a NHF back in March when he looks still raw and green. He’s probably a nice chaser in the making but should take well to hurdling as well, for the moment. The trip must not be an issue and with the yard going well, he’s an interesting runner.